Everyone has their own unique style and what better way than to showcase it in the bathroom! As a trade pro, your job is to advise your client from the initial stages of the bathroom remodel to putting in the finishing touches. A lot of work goes on in the in-between, and ProSource® of Salinas is here to work with you throughout the remodel journey. Finding a sink that fits your new bathroom remodel is just as crucial as every other bathroom piece, after all, you use the sink arguably more than anything! Your client will be able to find the perfect sink to accompany the bathroom remodel and can choose by color, type, shape, material, faucet holes and configuration, length and width, brand and price point. Whether you love a clean and modern faucet design or one with a country charm, ProSource carries the finest selection in bathroom remodel faucets. Choose from different finishes, types and handle types, faucet holes and the size of the centers, length, brand, and price point. 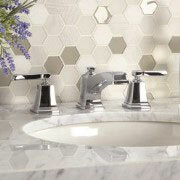 Deciding on a bathroom shower is like deciding on a new oasis at home. 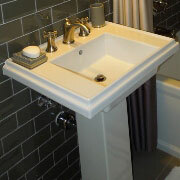 The shower is a rejuvenating place to be, which is why clients love to remodel this part of the bathroom. Whether kept basic with traditional white subway tile and a combo tub, or sprucing it up with a custom stone pattern and additional faucets, the shower is a fun and versatile project for all those involved. 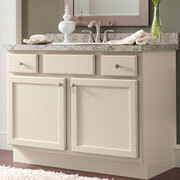 Choosing the perfect tub is important because it offers a variety of styles and choices to consider. 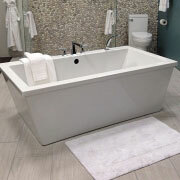 Does your client enjoy a claw-foot tub or a jacuzzi tub? A corner tub or a freestanding tub? Search all our tubs today to find the right color, material and more for your project! 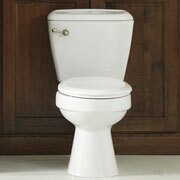 The throne of the bathroom is a piece of the remodeling project that can be a surprisingly fun decision. Choose a toilet based on the style or the flush rating. Toilets, these days, are more than just where people go to do their business. They can be eco-friendly pieces of a new remodel project.